In 1812, Thomas Montgomery, an immigrant from Northern Ireland, set foot for the first time on Canada's shores. Less than two decades later, he and his wife, Margaret, opened a tavern in the small town of Etobicoke on the banks of Lake Ontario. Much has changed since then--Etobicoke is now part of the city of Toronto and the bustling, urbanized community is home to a larger and more diverse community than Thomas Montgomery could have imagined--but his inn remains as a visible connection to early days of Canadian history. 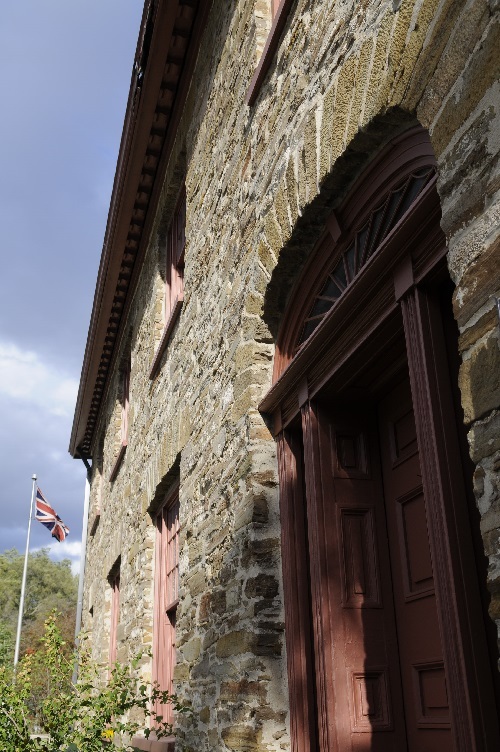 Now a museum, Montgomery's Inn welcomes visitors from all over, just as it did during its heyday in the 1840s, who are intrigued by this historic building and its contents. Montgomery's Inn has been meticulously restored to its 1840s appearance, making it the only restored inn in Toronto. "The big story here is that there were not a lot of public buildings in early settler communities," explains Museum Coordinator Ken Purvis. "The local inn was the community center--municipal governments used taverns as meeting places, there were auctions and clubs and trials. The inn was so much more than just a cheap motel." 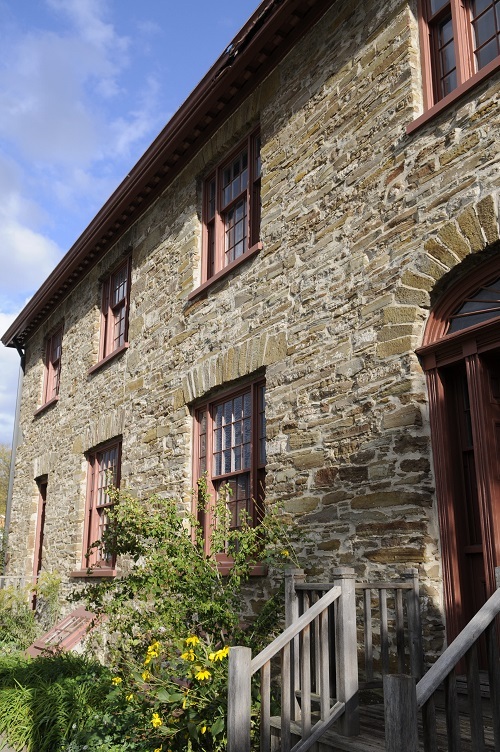 Despite its humble appearance, the inn houses a few unexpected lessons for visitors. "People are often surprised that it was a bar--it's like a modern bed and breakfast, but with a liquor license," Purvis says. "And more than that, I think people are surprised to find out just how ubiquitous these buildings once were. Lampton, Milton, and Mimico--three of the villages that made up Etobicoke--had a population of about 650 but had six inns." The museum is home to an impressive collection of artifacts dating to the nineteenth century, many of which come from the Etobicoke area. Three of the objects--the inn's original sign, a tall case clock, and Thomas Montgomery's sword--are original to the building. But as Purvis says, "the most important artifact is the building." Institutions such as Montgomery's played an essential role in the formation of the Canadian Confederation. Without taverns, the very existence of today's Canada would have been far from assured. "Travel was slow in preindustrial Canada," Purvis explains. "Travel would have been impossible without taverns, and without travel, settlement would have been impossible. But we needed to settle in order to create infrastructure and protect ourselves from the constant threat of annexation by the United States." Montgomery's Inn is no longer a functioning tavern, but it continues to preserve the legacy of hospitality that was an integral part of the inn's business. Montgomery's maintains a busy schedule of events throughout the year, including art exhibitions, cooking demonstrations, the monthly Thirsty Thursday Tavern Nights, featuring live music and drinks, and the popular Sunday Teatime at the Inn. The museum is currently in the process of re-restoring the building and reinterpreting the exhibits, which means that there has never been a better time to visit. "We never sit still in museums," Purvis explains. "We're doing lots of research. Women's history, for example, will play a much larger role in the reinterpretation of the inn. Inns were run by women. Mrs. Montgomery died in 1855, and her husband closed the inn shortly afterward, which tells you a lot about how important she was." Ultimately, Montgomery's Inn is a priceless piece of Toronto's identity and remains as essential today as it was during Canada's infancy, although for different reasons. "Historic sites let tell our own stories," Purvis says. "We need to know who we are and where we come from. If we don't protect these things, then we don't know who we are."